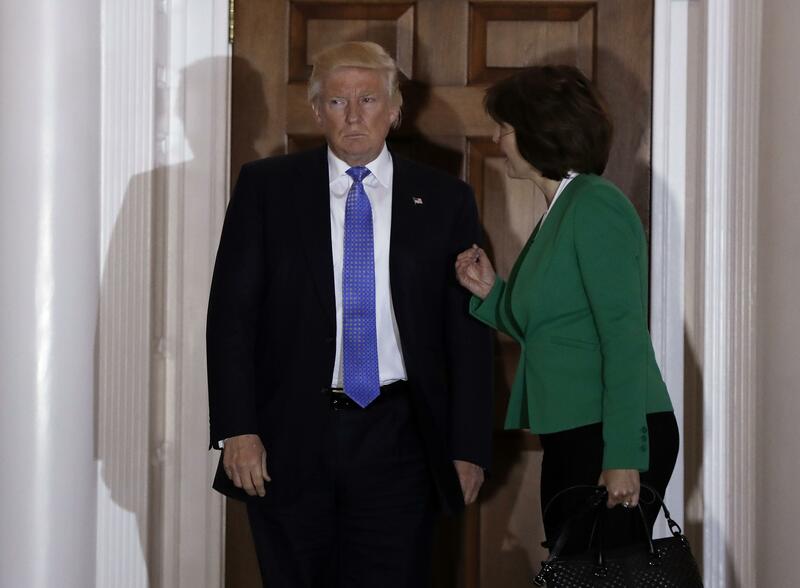 On Monday, Dec. 12, 2016, Rep. Cathy McMorris Rodgers arrived at Trump Tower in New York City for an interview with the president-elect. It’s not clear whether the congresswoman believed she was about to be named Interior Secretary, but everyone else sure thought so. The New York Times, the Wall Street Journal, CNN, the Hill – the Washington, D.C., media had been reporting her likely selection to the Cabinet as a “done deal,” in the words of a new book about the Trump transition. All the reports were based on anonymous sources, presumably affiliated with the transition team. Environmental groups had already ramped up their opposition. “Donald Trump just posted a massive ‘for sale’ sign on our public lands,” the League of Conservation voters said in a statement about the presumed nomination two days before McMorris Rodgers’ meeting with the president-elect. In other words, McMorris Rodgers – who has been criticized often, including in this column, as being far too deferential and accepting of the various appalling and alarming aspects of Trumpism – actually paid a high political price for what negative remarks she has made as she walks the tightrope between criticizing and supporting Trump. She has sometimes challenged the president, but always in a way that tries to eat the cake and have it, too: the bottom line of which was always support, even after Trump mocked a disabled man and bragged about grabbing women. The Trump Tower meeting isn’t exactly breaking news. That account does come from a new book, but it was also reported in the Washington Post in December 2016, deep in a long piece about various interactions between Trump and members of Congress. The Spokesman-Review published a story that included a mention of the meeting and an assertion from the Wall Street Journal that McMorris Rodgers would not “walk back” any of her remarks when asked about them by the president. McMorris Rodgers’ office did not want to comment on this column, but it did not take issue with the facts about the visit that were reported. Still, the anecdote – for all the detail and specificity that it lacks – shines a light on one of the key continuing dynamics for McMorris Rodgers in the Trump presidency. How much can she speak out in defense of decency and still expect to be on the team? It’s a question that has continued relevance as she casts votes to oppose the president’s attempt to declare a border emergency, for example, while she continues to work with him – productively, she would say – on policy matters for a district that voted for him. McMorris Rodgers was challenged often on the campaign trail over the perception that she was acquiescent in the face of Trump’s manifold offenses against decency. As the mother of a child with Down syndrome, she spoke up when Trump crudely mocked a disabled reporter – while still trying to stay on the Trump train. When the Access Hollywood tape emerged, she did much the same. On issue after issue, before and after the election – from ag tariffs to family separations – she has tried to walk that line, starting with her public statement about why she had decided to vote for Trump. She said her support was “not exactly” enthusiastic. But still, she viewed Trump as potentially a positive force for the country, and the best choice for president. That fence-straddling has never worked for her critics and those who oppose Trump, who may have underestimated the degree to which she has shown at least a smidgen of backbone. But what the little nugget about the Trump Tower meeting shows is that it didn’t really work for the president, either.